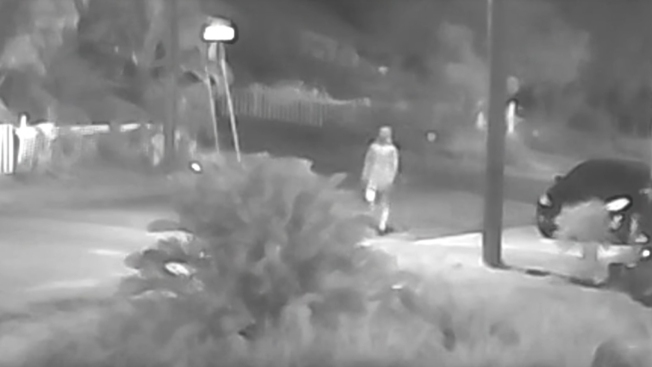 Tampa police are seeking the public's help to learn more about the man seen in this video screengrab, considered a person of interest in three related killings. Three unexplained killings have rocked Tampa over the last two weeks, and as fear grips local residents, police say the slayings are linked, NBC News reported. The first apparent victim, a 22-year-old college student named Benjamin Mitchell, was shot dead while waiting for a bus on Oct. 9. Sign language teacher Monica Hoffa, 32, was shot on Oct. 11. And 20-year-old Anthony Naiboa was killed on Oct. 19. His body was found 300 yards from Mitchell's. Police have not yet identified a suspect or determined a motive but said the killings are believed to be linked to each other. However, Tampa Police Chief Brian Dugan has declined to describe the string of deaths as the work of a serial killer, saying too little is known about the crimes. "We've always had small, petty crimes," said local leader Stan Lasater. "But when we had the first murder, the community was really shaken. And then we had the second, and third, and now the community is definitely on alert."